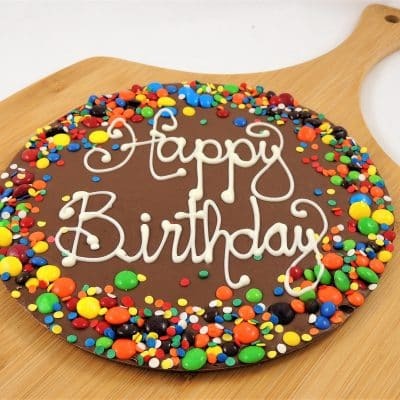 Skip the ordinary anniversary or birthday gifts and give them something they will remember and appreciate. 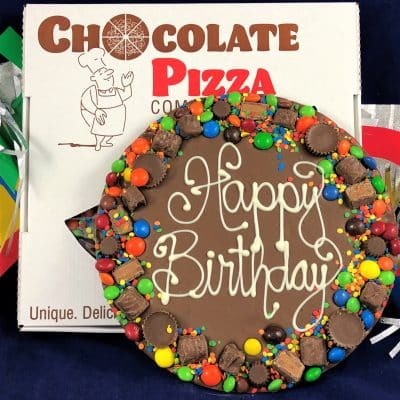 Choose a gift as special as the celebration – a Chocolate Pizza. 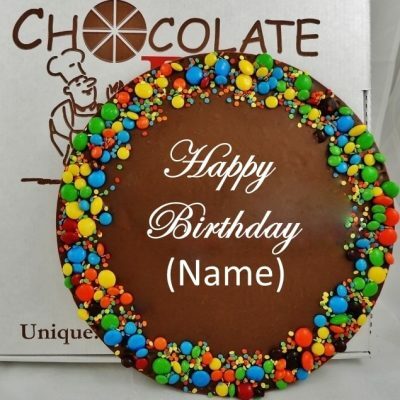 This one-of-a-kind surprise is an anniversary or birthday gift that will make their eyes light up and bring a broad smile to their face (lots of hugs are assured) because it is so thoughtful and unique. 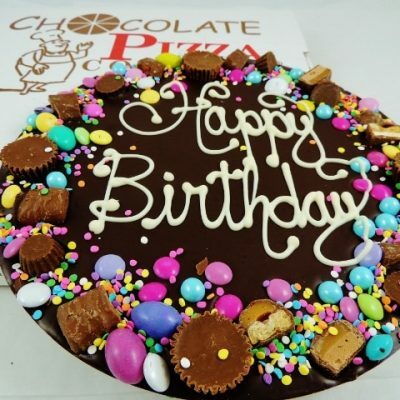 Everyone loves gourmet chocolate and we make the sweetest surprise. 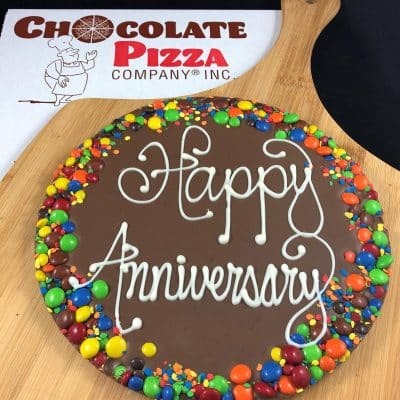 Our Chocolate Pizzas are handcrafted and hand-decorated – nothing is mass produced – real people make each one and that means no two are ever the same. Our chocolatiers start with that signature blend of gourmet chocolate and homemade English toffee and then you choose the size, the flavor, the border. We’ll script the message in white chocolate. 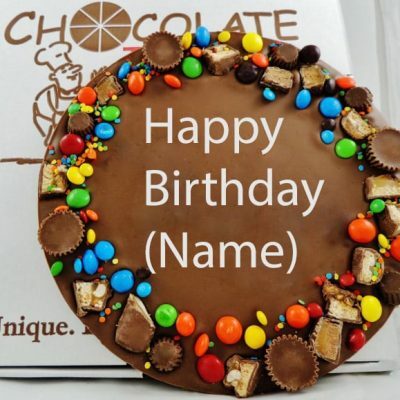 Personalize it for an even nicer touch but whatever you choose you can relax knowing they are going to love it! 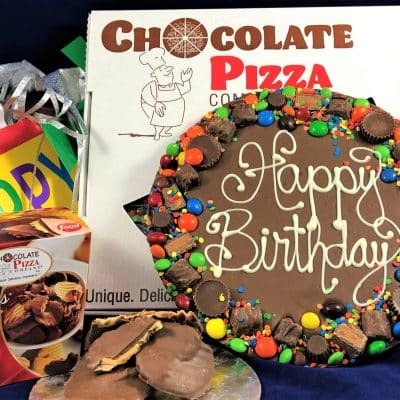 Note: regular size Chocolate Pizza is about 10″ in diameter, large size is about 12″ in diameter.